Chennai, July 23 (IANS) The first look poster of Suriya-starrer upcoming Tamil film “Thaana Serntha Kootam” was released on Sunday on the occasion of the actor’s 42nd birthday. 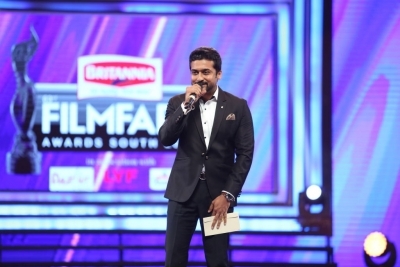 The film, produced by Studio Green, marks the first-time collaboration of Suriya and director Vignesh Shivan. Rumoured to be the official remake of “Special 26”, the film, a heist comedy, also stars Keerthy Suresh, Senthil, Karthik and Ramya Krishnan. The film has music by Anirudh Ravichander. On the verge of completion, “Thaana Serntha Kootam” will be dubbed and released in Telugu.